A Maiden Fillies Stakes (Plus 10) over 5f 16y on good going. Tschierschen has been favourite on both starts to date and done little wrong with a head defeat on debut at Windsor and then put in her place at Thirsk when bumping into a Bryan Smart juvenile who will have lofty ambitions. This bay daughter of Acclamation out of a talented mare [Roo] races in the familiar silks of the China Horse Club who have very deep pockets. This juvenile cost 280,000G at the yearling sales and trained by William Haggas. This doesn't look the strongest of contests and five and six furlongs come alike. This filly has her limitations and I very much doubt she will be contesting pattern races. She has strong claims here but as seen with both defeats prone to a fair juvenile and that factor would make me careful of taking short odds. Nikki Evans doesn't have many two-year-olds but has found debut winners in the past. 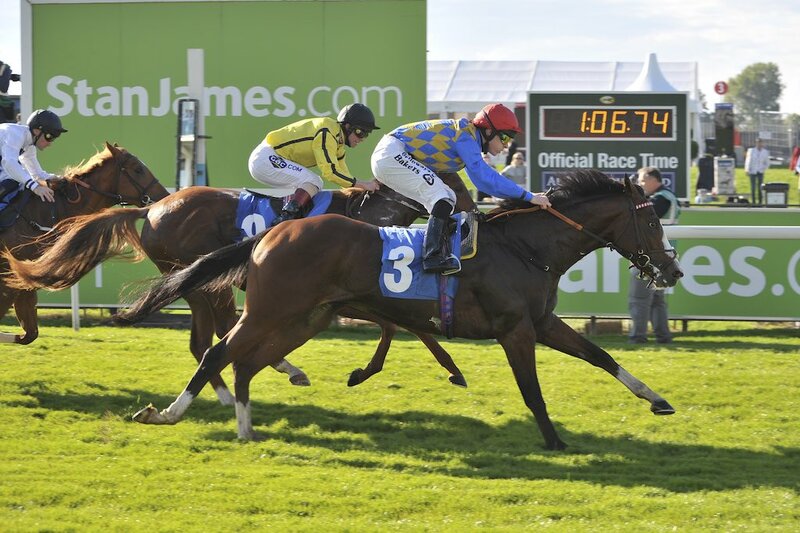 Polkadot Princess is an £8,500 breeze-up purchase and interestingly received a stakes race entry. This may be a sign of confidence although it would take a smart performance to win against these talents at the first time of asking. At odds of 66-1 I wouldn't knock a speculative bet but I would be hoping for a place rather than a win. Although if this daughter of Sir Prancealot has ability this type of bet are all or nothing. Meaning, they have as much chance of winning as placing to be fair. Sheila's Palace is held by Tschierschen on their Windsor performance. Coronation Cottage showed good pace on debut over 6f at Chepstow but disappointed when dropped in distance at Sandown. More will be needed. David Simcock has a number of talented juveniles and Island In The Sky has run twice at Newmarket over against hot opposition. Interesting to see how this drop to the minimum distance goes but decent challenger against the favourite. Charlie Hills two-year-olds are in good form and Coral Sea is held in some regard by connections. Actually owned and bred by former trainer Peter Winkworth [he knows a good horse] this grey daughter of Excelebration ran well on debut at Newbury over 6f but too free although beaten by a decent juvenile in Poet's Princess. She ran well at stakes class when dropping to the minimum trip at Bath and it was no great loss behind two very talented juveniles who had penalties. Conclusion: This looks out of the three favourites. I couldn't bet Tschierschen at even money as I would be fearful of Island In The Sky and Coral Sea. The latter is proven over the minimum trip and if an each-way price with three places could be a bet to nothing and fingers crossed gets her head in front.